For the second year in a row, here in the great Northeast we got smacked around by a monster storm. In fact, this year they are called Hurricane Sandy the “Perfect Storm” (more like a perfect pain in the rear). Just like last year, about 75% of the TV channels were continuous coverage of the storm track, current damage, future predictions and recommendations on what to do during the storm. The experts encouraged preparation for the storm by making sure we had enough water, flashlights with batteries and non-perishable food items in the event of a power outage. And just like last year I chose to prepare. But for me it was no big deal as it was just like any other week…with or without Mother Nature wreaking havoc. As I have written about before, preparation is the key to successful health, fitness and performance, especially when considering nutrition. Healthier than Mickey D’s? Think about it! 1) Go Shopping: You need to purchase healthy food items in order to eat them. Click HERE for a health and performance based grocery list. The best $10 dollar investment you’ll ever make…saves half the time! 4) Prepare Some Meals: If you don’t mind eating salads for at least one meal per day, compile a few and store them in the fridge for healthy and delicious grab and go lunches. Throw some of your veggies on a plate and cover to slash time prepping your morning omelet and compose another plate for dinner the next night (or throw it in pan/pot/crockpot). By doing these simple steps you have guaranteed that your next few meals will be good to go and conducive to a healthy and fit body. 3 salads, 3 mixed veggies ready for salad/stirfry/etc, omelet plate for morning, dinner for that night and 10lbs of chicken (thighs and breast)…Oh Ya!! **Bonus Tip: Most of my family, team (co-workers) and my athletes ask me how I can eat the same salad every day. What they don’t realize is that almost every salad is different. I switch up the protein (chicken breast/thigh, steak, pork sirloin steak, tuna) and the veggies, and THE MONEY MAKER is switching the dressing. I make my own dressings by mixing together combos of liquids (vinegars, hot sauces, lemon/lime juice, mustards, etc) and spices/herbs (parsley, basil, red pepper flakes, cumin, etc). Try it out…the options are endless and make it easy and satisfying to eat a salad or two per day. 5) Plan the Week: You don’t have to throw together every meal of the week all in one day…just plan on what it is that you are going to make and WRITE IT DOWN! 6) Repeat: Plan to repeat this process every weekend. It may seem like a lot if you are a busy parent, in-season athlete or individual who thinks they have better things to do than get or stay healthy, but without your health you have NOTHING!! The time it takes to go through these steps is far less than the time you would spend prepping each meal individually (I have clocked in under 3 hours from shopping to compiling my meals…it may take 20-30 minutes for each meal individually!). And even more importantly, you will be less likely to spend time in the gym working off unhealthy options (the pizza tire around your waist), combatting heart disease or diabetes (from all of the processed garbage), being gassed on the field or court during an athletic event, or talking with your kids about why you can’t get outside and play with them (because you are too damn out of shape and lethargic from the “easy and time efficient” food options). 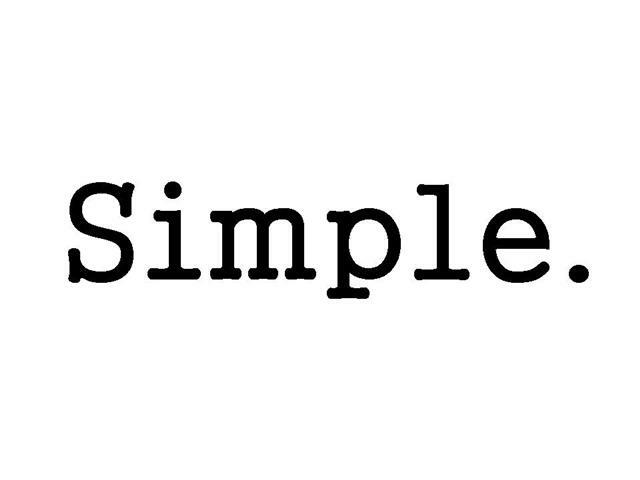 Many things in life are simple…maybe not easy, but definitely simple. There will always be a Hurricane Sandy in life, especially concerning nutrition. But if you prepare for the nutritional storm, you will be more likely to make it out alive and well…figuratively and literally. Share this with your family friends by email, Facebook or Twitter to give them out too! 2 Responses to Life Is A Hurricane! Well written Kyle – you answered a question I’ve been meaning to ask about variety. Makes sense to mix it up – hot / spicy seasonings and sauces are my favorite. Still hard to plan lunches being on the road as a sales person. What about snacks for mid morning and afternoon that are easy to transport? Bars get expensive. I think straddling lunch with healthy snacks would help me select smaller portions during lunch…. I like nuts, homemade trail mixes, jerkey or protein shakes (put a scoop or two of protein with some cinnamon and nutmeg in a bottle and just add water/milk when ready to drink). You can pair these with a piece of fruit as well.